These sizes are for your guidance only for a more precise estimate use our Calculator. Please contact Parrett Storage on 01935 825734 and a member of our staff will be happy to help. 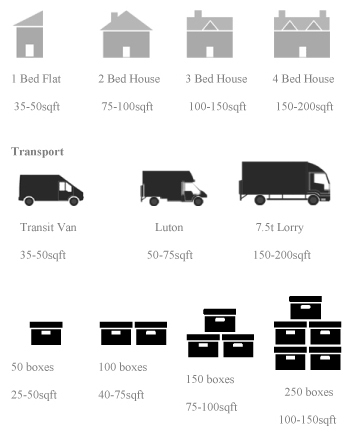 Use our space estimator to give you a general guide to how much space you require.